It’s über exciting when you first start wearing your engagement ring. It sparkles like a jewelled star in the night and the merest flick of the wrist or twist of your hand and the light is playfully dancing off your bling. But *sad face* over time, day to day living takes it’s toll on your pride and joy and it gradually appears to look dull. Fear not though my lovelies, there are some very simple techniques for cleaning up your sparkler and you don’t need to spend a fortune before the big day. Baking soda is a mild and non-abrasive cleaning agent that works well to clean an engagement ring. For rings that are only mildly dirty, take baking soda and mix with a small amount of water to form a paste. Rub the paste all around the stone and the engagement ring setting. This will clean your engagement ring without causing any damage to the metal or the stone. Dry and polish with a lint free cloth. 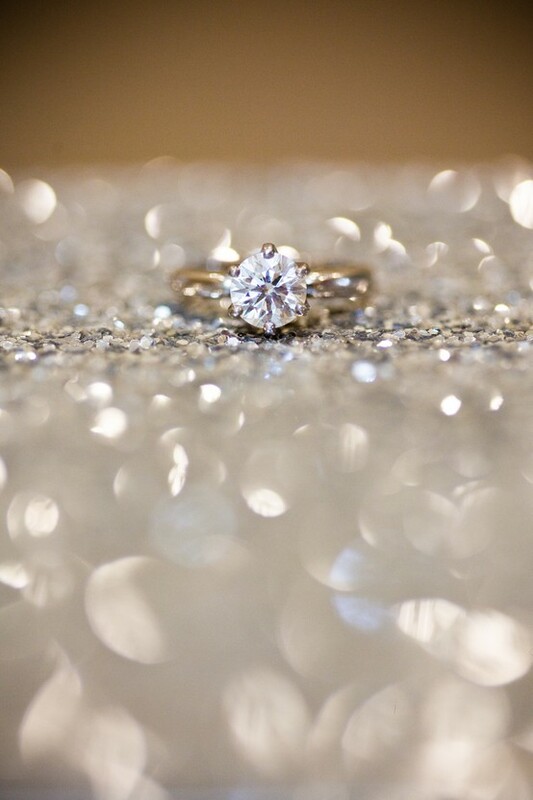 Another good way to clean an engagement ring is to use 1 part mild dish-washing detergent and 3 parts warm water. Take a soft bristle toothbrush and gently scrub the stone and the ring. This is a great way to get out lotions, oils and general grime. If your ring is very dirty, you can let it soak overnight. Dry and polish with a lint free cloth. I used to use toothpaste on mine, it worked a treat! I’ll be using that baking soda tip! altho I think I need my ring re sized a little as its lose now i’ve lost weight! altho saying that it’ll be kept in place with a wedding ring in the not too distant future!